At 24, I live my life on the move. Work, friends, one event to the next. I’m just so popular and in high-demand. OK, not really. But I do have a life. Every once in a while, especially during the winter months, it’s nice to relax in your PJ’s with an old movie playing in the background. So, at the risk of sounding like a cross between Martha Stewart and a bored housewife, I want to share with you 3 things that you can do tonight, or any night that you’re planning a night in, just with yourself. Combine. Throw some soy sauce on there and you have yourself a meal. You can be creative with this one. 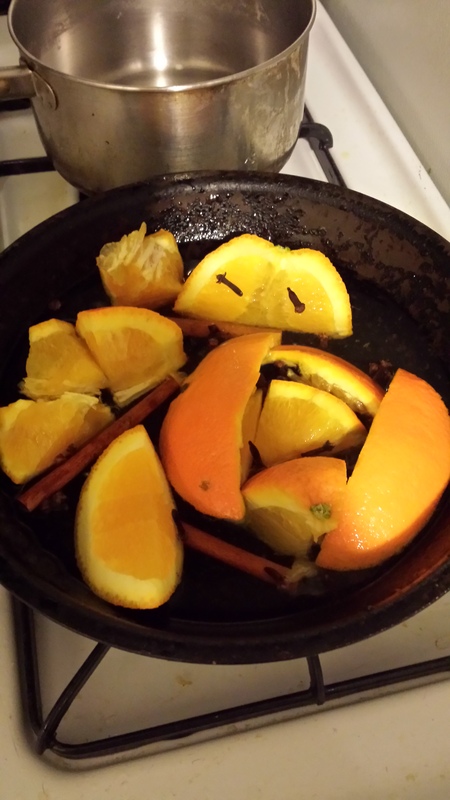 What I did: I cut up an orange, threw in a spoonful of whole cloves, and 3 cinnamon sticks. I added a drop of vanilla extract as well. 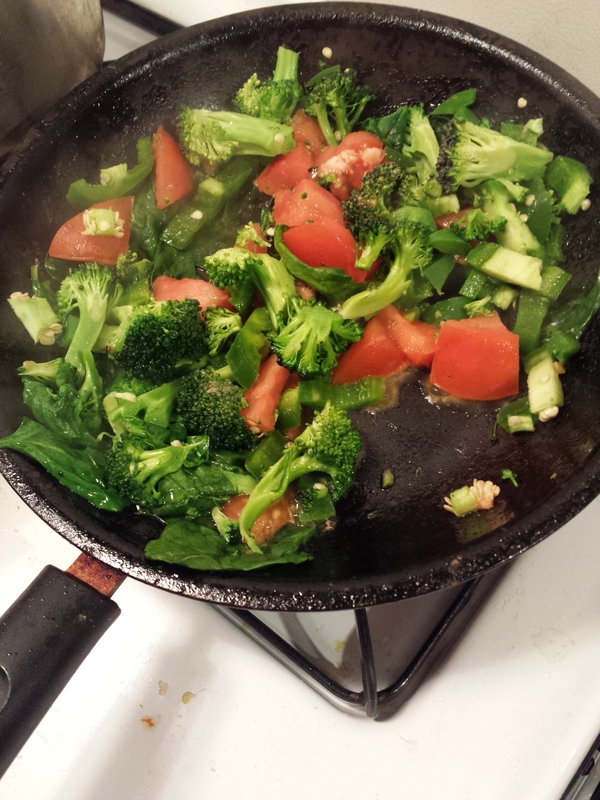 Put ingredients into a pan and pour some water over it to ensure it doesn’t burn. Turn your burner on low and let simmer. I am telling you, it makes your apartment/house smell absolutely amazing, and it’s really easy to make. My friend Melissa uses fresh cranberries, but they are not currently in season. Mine haven’t included cranberries yet, but it still smells awesome. To please your taste buds and warm your soul, make a cup of tea. Now you’ve really shown winter what’s up. The last thing I want to do after a long day at work (or ever) is clean. Actually, cleaning isn’t that bad. It’s organization that I find to be the most daunting task. However, I have found that by cleaning and organizing things, home becomes a more relaxing and stress-free place. Chores at home, and even duties in the workplace can become overwhelming, especially when things pile up. Put on your favorite movie, T.V. show, or music, and tackle one thing at a time. For example, start with the dishes. As you scrub those plates, imagine you scrubbing your stress away!